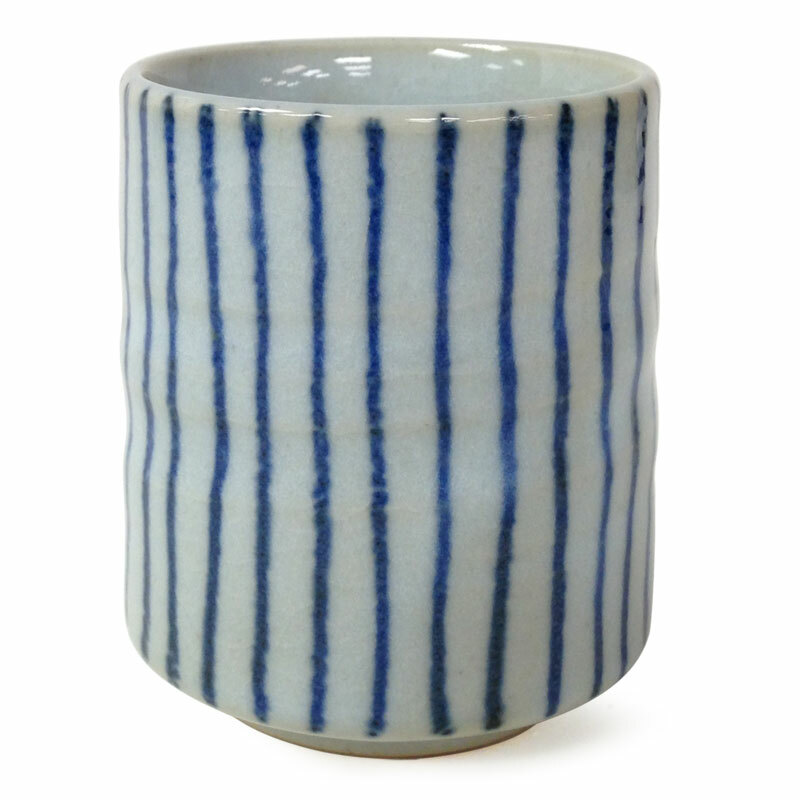 Blue stripes teacup. Elegantly fun. 7 oz. 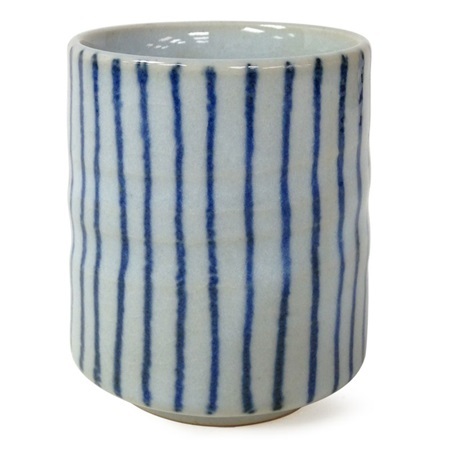 capacity x 3.5" h. Microwave/dishwasher safe. Made in Japan.